(TibetanReview.net, Jan23, 2015) – Although communist China is never going to change its policy towards the Vatican or its repressed Catholic Christian worshippers owing allegiance to the Vatican in any substantive way, this has not prevented it from demanding that the Pope desist from entertaining any move to meet with Tibet’s exiled spiritual leader, the Dalai Lama. On Jan 21, China’s foreign ministry spokesperson Hua Chunying called on the Vatican to take tangible steps to better ties, after Pope Francis again sent greetings to Chinese President Xi Jinping while denying that he had turned down a possible future meeting with the Dalai Lama, reported China’s official globaltimes.cn Jan 22. “China is always sincere in improving ties with the Vatican and has been making efforts to this end. We are willing to have constructive dialogue with the Vatican,” the report quoted Hua as saying at a press briefing in response to a question about the telegram greeting from the Pope. Chinese leaders’ terms for improving relations with the Pope in the Vatican has always been about getting the latter to accept the status quo without conceding anything substantive that the Vatican seeks, including the right to appoint Chinese bishops. 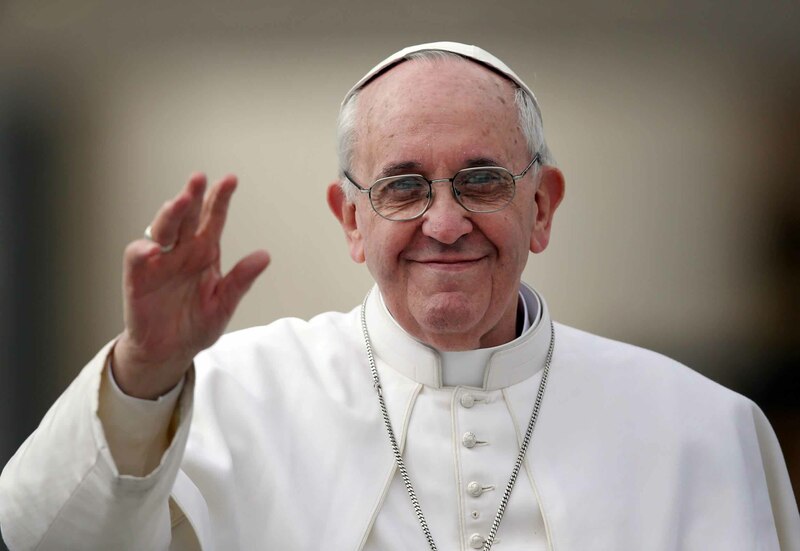 Nevertheless, the globaltimes.cn report cited state-employed Chinese religious experts as being of the belief that the pontiff’s greetings, a follow-up to two 2014 letters, were another encouraging sign of improving Sino-Vatican ties, and as being worried that the possibility of a meeting with the Dalai Lama might be a setback to bilateral relations. It added that the Pope had sent the two previous greetings to Xi when he went to and returned from South Korea in Aug 2014. The report cited Xu Yihua, a professor with the Shanghai-based Fudan University, as accusing the Pope of being ambivalent towards improving relations with China: rejecting a meeting with the Dalai Lama in Rome in Dec 2014 by saying it could harm the Holy See’s already fraught relations with China and now speaking about being open to a future meeting with him. The report also cited Yan Kejia, director of the Institute of Religious Studies at the Shanghai Academy of Social Sciences, as accusing the Pope of adopting a “stick and carrot” approach, adding this was not a proper conduct for a religious leader. What right has this Yan Kejia got to tell the Pope who he should or should not see. It is surely essential for spiritual leaders from all countries and religions to confer regularly on the issues that affect the rights of all people in the world. For the Dalai Lama the invasion of the sovereign nation of Tibet, the subjugation and torture of its people, the attempts to destroy its culture and illegal acquisitions of its resources by the expansionist Chinese is a major concern…..FREE TIBET!